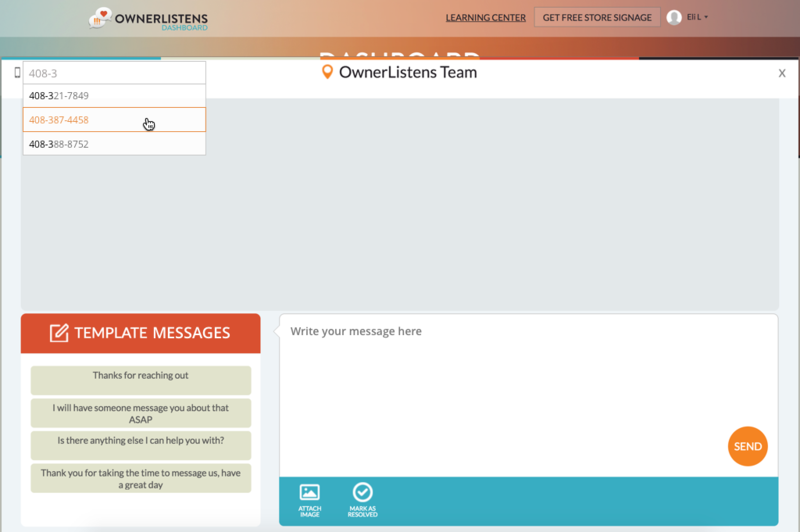 TL;DR we heard you loud and clear – you can now initiate messages to customers directly from your dashboard, without the customer texting first. 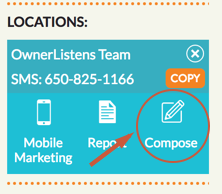 We are happy to announce the availability of the new compose feature which allows you to initiate text messages to customers that requested to be contacted via text. Now, you can text anyone by inputting their phone number – whether or not they texted you first, all provided that they requested to be contacted by you. 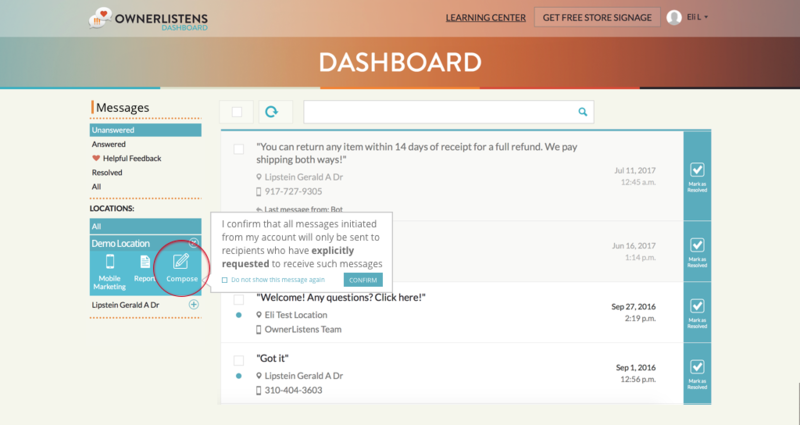 Enter the phone number of the recipient (the system will attempt to auto complete the number if you have texted it in the past), the text of the message, and then click send. As with most OwnerListens accounts, you can only text US and Canada numbers. Texting landlines and VOIP numbers is permissible but delivery cannot guaranteed. Love this new feature? Hate it? Want more? We love hearing from our customers. Text or call us @ 650-825-1166, or email us.